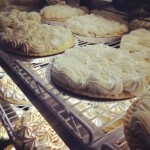 Since 1956, Mann Orchards has been making our pies, all by hand. 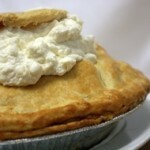 Every one of our pies is filled, topped, milked and boxed by hand, fresh every day, right here in our own kitchen. We always use the very best ingredients, including our own orchard fresh apples, grown and peeled right here, wild Maine blueberries, real Key lime juice and many other carefully selected ingredients. Ruth’s Original apple pie is a legendary and local favorite! This old-fashioned apple pie features a flaky, buttery pastry crust and juicy apple filling that is made with our own orchard-grown apples. 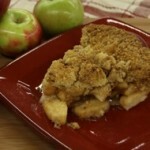 A delicious homemade apple pie made with the freshest of apples, cinnamon, baked with a brown sugar, butter topping. 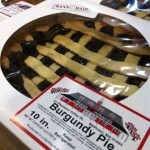 A scrumptious homemade pie that is packed full of plump and sweet, wild Maine blueberries, encased in a delicious buttery pastry. 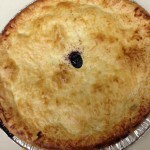 Our bakery puts a delectable twist on our traditional homemade blueberry pie with a crunchy topping of oats, brown sugar, and butter. 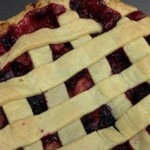 Our homemade burgundy pie is the perfect marriage between rich blueberries and savory raspberries. 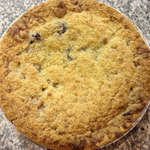 Our traditional burgundy pie gets special treatment with our famous crumb topping. What could be better than blueberries and raspberries mixed with a crunchy buttery topping? Cherries are baked in a sweet sauce made with vanilla and brown sugar, all lovingly paired with a handmade flaky, buttery crust. 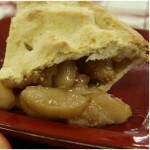 A famous mix of apples, raisins and spices baked in a homemade flaky, buttery crust. It’s a combination of the classics, with apples, blueberries, raspberries, strawberries and rhubarb. Think it’s too much? Not at all! The unique blend gives it a refreshing tartness, but it’s still sweet enough to steal your heart. 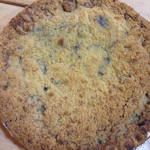 Tart yet sweet, Dynamite Don’s Famous Five Fruit Crumb Topped Pie is the perfect combination of all the classics, coupled with a flaky-gooey crumb topping. It jut doesn’t get any better than this. The sweet taste of pumpkin mixed with the savory flavors of cinnamon, ginger and nutmeg, all baked in a delicious handmade pie crust. A holiday favorite! A marriage of sweetness and tartness, this pie forms the most perfect union as juicy strawberries and rhubarb come together. 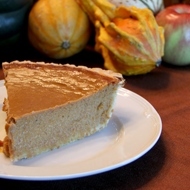 If you love pumpkin pie, you will certainly love this! Farm-fresh squash fills our handmade flaky, buttery crust, making for a smoother texture and milder flavor. 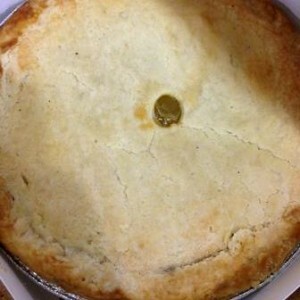 Our tangy lemon pie is a refreshing treat, made with fresh lemon juice and zest, baked in our famous pastry shell. Sweet and creamy, our savory egg custard pie is delicately flavored with nutmeg and vanilla – a traditional dessert made extraordinary. A traditional pecan pie with thick molasses and the perfect amount of pecans in our famous crust. Our crust has a delicious cream filling topped with our own fresh apples, laced with sugar, cinnamon and nutmeg. 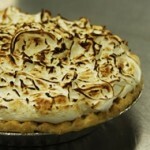 A decadent combination of a graham cracker pie crust, homemade whipped cream and creamy chocolate. Makes for an amazing holiday dessert! A creamy classic, made with fresh bananas combined with a rich vanilla cream. 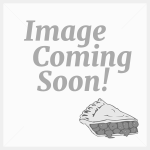 This luscious pie is sure to add elegance to any special occasion. Rich and creamy, our lemon meringue pie bursts with a fresh and deliciously tart filling, made with the help of fresh lemon juice and lemon zest. 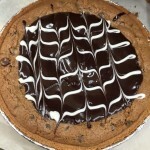 A cookie pie that features the sweet gooey goodness of Nestle® Toll House® chocolate chips. 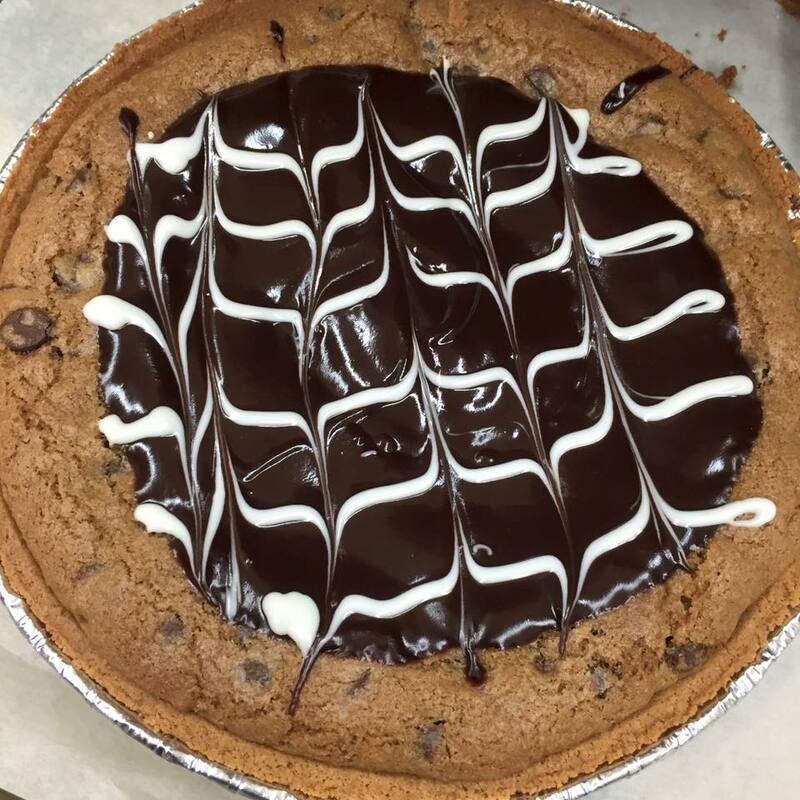 Our homemade sweet peanut butter filling in a graham cracker crust and topped with a creamy chocolate ganache! 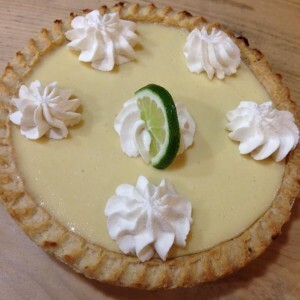 An American all-time favorite, this signature creamy and semi-tart pie is made with real Key lime juice. Makes for a smooth and refreshing dessert! 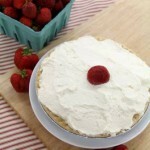 Sweet, plump native strawberries combined with a light & airy homemade whipped cream – nestled in our famous handmade pie crust. Only available during the native strawberry season! 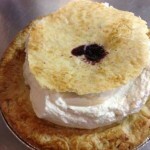 A local favorite, our signature blueberry cream pie is perfect for your next special occasion. 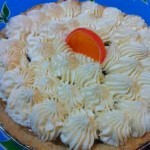 Juicy peaches and our light & airy homemade whipped cream fill our famous flaky pie crust. 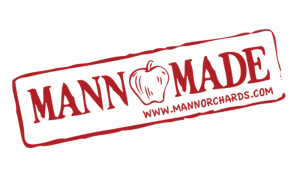 Mann’s Mug Club is an unbeatable loyalty program! Purchase your mug for $25 and received unlimited coffee refills for life! We’re always welcoming new members. The best gift you can give someone is this mug – and the free coffee that comes with it! To purchase, just come in to our location! The perfect gift for any occasion! Our gift cards can be used for any purchase made at our farm store and bakery. 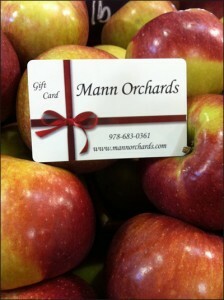 Purchase a Mann Orchards Gift Card online now!! Click Here and send a gift card to someone you love today! Or purchase a Gift Card in store, just come in to our location and inquire at one of our registers during check out!